Recology... sounds familiar, right? If you live in San Francisco, this is the company that runs the curbside pickup of your trash, compost and recycling. Of course, yes. That's what it says on the side of the trucks that role around your neighborhood once a week, you remember now. 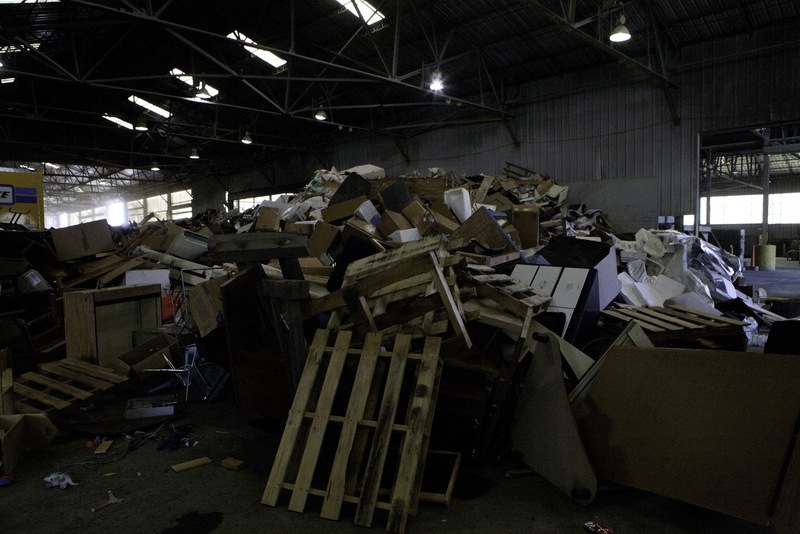 But did you know they're also the company that runs an Artist in Residence Program at the dump! Yes, you read that correctly. 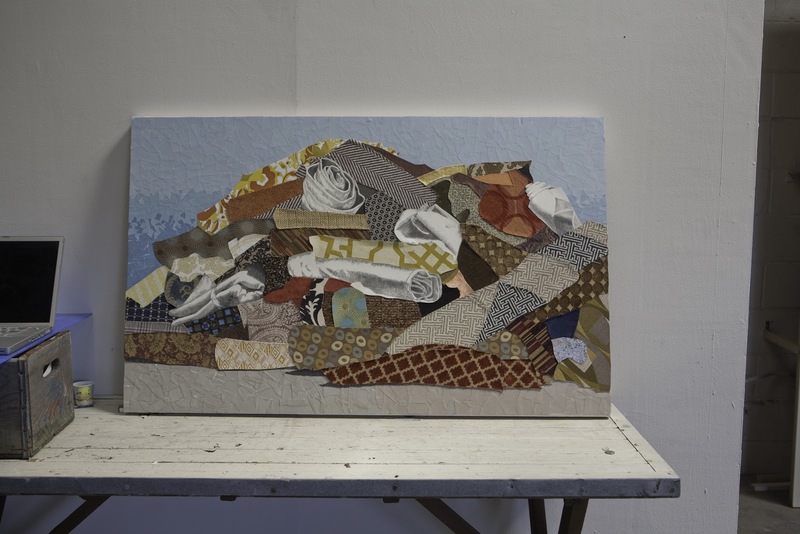 Since 1990, over ninety-five professional artists and twenty student artists have completed residencies at this one-of-a-kind program and have made art from discarded materials. Scary Cow at the dump! The Artist in Residence Program at Recology San Francisco is a unique art and education program that provides Bay Area artists with access to discarded materials, a stipend, and a large studio space at the Recology Solid Waste Transfer and Recycling Center (aka the dump). 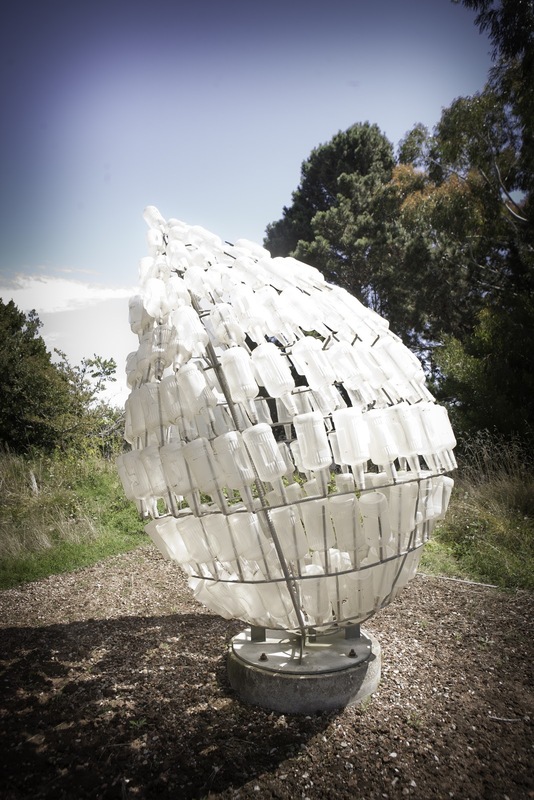 By supporting artists who work with recycled materials, Recology hopes to encourage people to conserve natural resources and promote new ways of thinking about art and the environment. 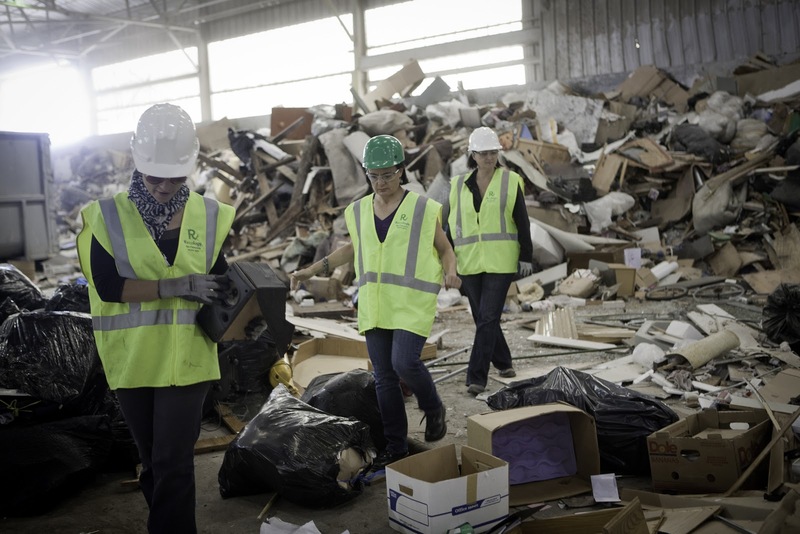 This fall, I went to the dump with my Scary Cow crew to find out more about what's going on and talk to the artists. 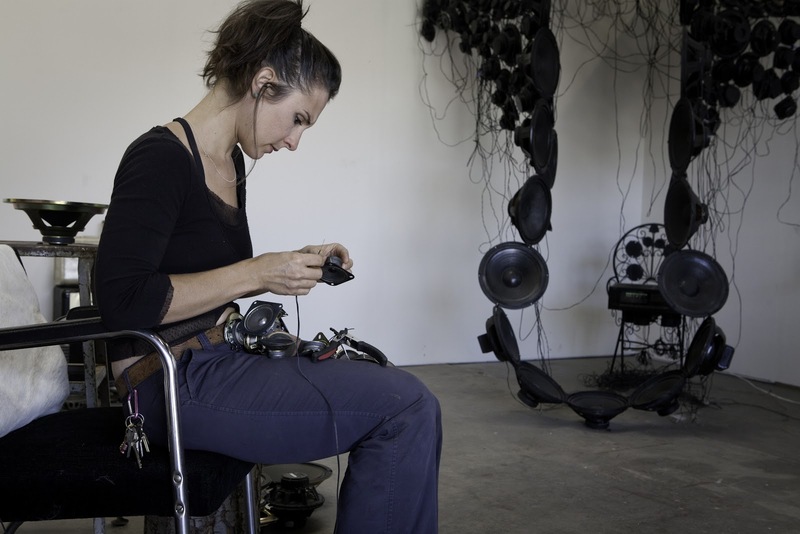 Tamara Albaitis creates interactive sound sculptures, while Amy Wilson Faville creates mixed media constructions based on photos of items dropped off at the dump - carpets and mattresses being two examples. 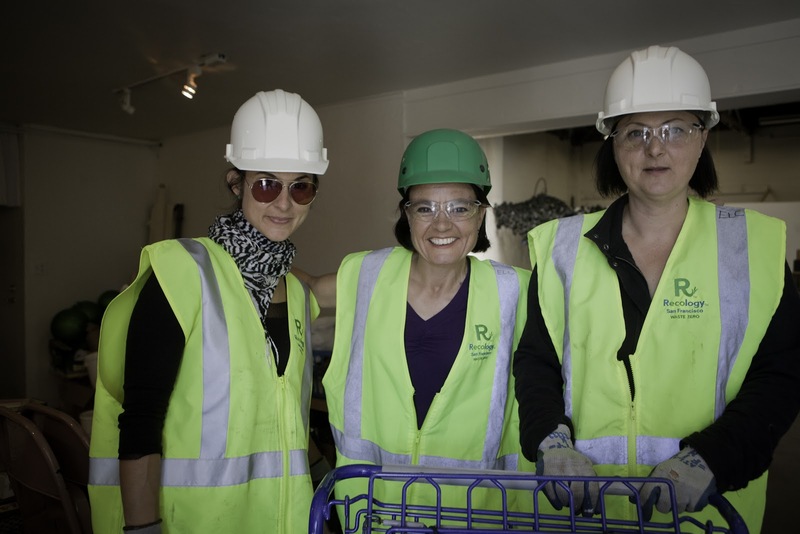 During our visit, the ladies and I put on our reflective vests ala Charlie's Angels and went on a scavenging hunt. Well, that is if Charlie's Angels ever stepped through piles of discarded belongings shouting "eureka" while dodging front loader tractors. The following month the Scary Cow crew returned for the gallery show. 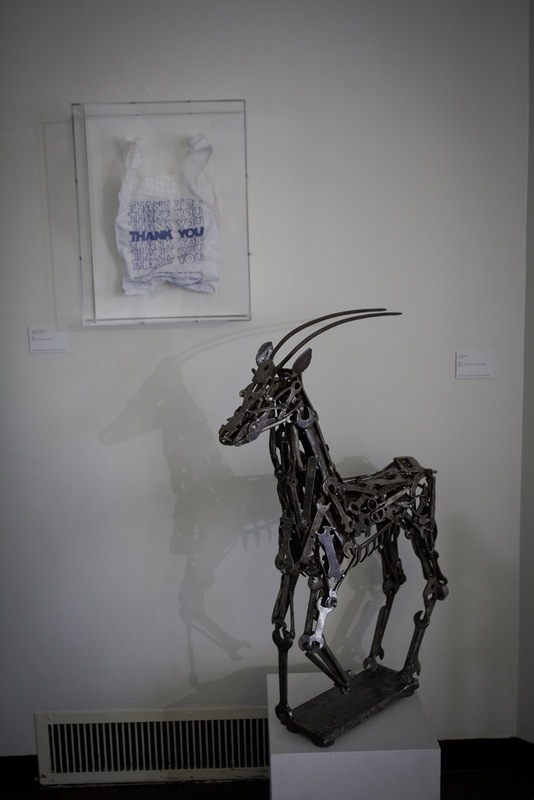 These shows are open to the public and not only do you get to see great recycled art and talk to the artists but beer, wine and hot dogs are also provided! For free! The next opening will be Friday, January 25th (2013!) from 5pm to 9pm and Saturday, January 26th from 1pm to 5pm. You can also sign up for a tour of the facility, which takes you through the sculpture garden home to works made by former artists in residence. All in all this program, the people who run it and the artists who participate in it are fantastic and you would do yourself a favor to check them out in 2013. All photos courtesy of Aida Daay!